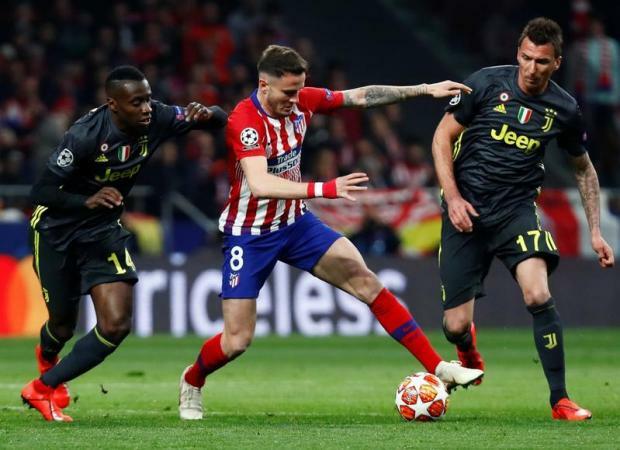 Atletico Madrid's Saul Niguez in action with Juventus' Blaise Matuidi and Mario Mandzukic. The Spain national team coach Luis Enrique has made amendments to his 23-man squad for the Norway, Malta games of their UEFA Euro 2020 group qualifiers after Fabian Ruiz was replaced by Saul. The decision was taken after Napoli's midfielder Ruiz underwent tests in a hospital in Madrid earlier on Monday due to a fever which left him out of the Italian club's latest Serie A tie against Udinese on Sunday. Saul, of Atletico Madrid, will now form part of the squad that will host the Norwegian side in the Mestalla before facing Malta at the National Stadium in Ta' Qali, on March 26. The Colchoneros midfielder has collected 15 caps for La Roja so far, scoring two goals in the process. Meanwhile, Real Madrid player Marcos Asensio was reportedly not present in their first training session as he completed a separate training programme which included some gym work and physiotherapy.